Retirement planning is more than your financial needs! I retired (achieved financial independence) about thirty-eight (38) years ago and understand this better than most people. I am just two (2) years away from retiring again and thinking about what I will do in retirement. There are a lot of things that come to mind, but enough about me. What are you going to do in retirement? This may be the most important question you face in retirement! You have the finances set, you been saving, investing and making sure you have sufficient money to support you and your family. Now, you are faced with the emotional side. What is your routine? I know, sleep late, and do what you want! Who cares? That works for a couple of weeks or months! You need to develop a routine, goals and figure out how you will spend the rest of your life. These are not easy questions. Are you prepared or are you just going to wing it? You have been working in a routine for some time, what are you going to do? What is your vision for retirement? Will your retirement have purpose or is it a time to indulge yourself. Doing whatever you want does not create a routine or maybe you don’t want one. Life without purpose or a vision will feel empty and unfulfilled! The difficulty of this new position is you never did this before. Sure you had vacations, but it is not the same. Everyone who retires or retires early thinks about the financial side, but few are prepared for the emotional side. Even more play it down as inconsequential saying I can deal with that when it happens! It is just as important as the financial side! Your vision for retirement should be as detailed as you financial plan. What do you see yourself doing that will provide physical and mental well-being? Your vision should include mentally stimulating activities such as education, learning new things, playing cards, and volunteering. Some would say the fun stuff, but it is good for you because it adds to your mental health. Don’t pass up the physical activities like tennis, golf, bicycling, sailing, hiking and swimming to name a few. Mental and physical activities are a necessary part of everyone’s life. Don’t overlook this aspect of retirement. During your working life, you may have included physical fitness and maintaining a healthy diet. This is even more important as you become older and your metabolism slows down to maintain good health. Retirement won’t be much fun, if you cannot enjoy it! You want to be able to get around and travel. Some people think about moving to lower cost areas of the country. For example, Las Vegas has a large retirement community. You may want to retire to a warmer climate or to an area where there are more retirees. You may want to do this for financial reasons, but it can be equally important for having relationships with people who have similar interests. Are you retiring with a wife or husband? Do you have children or grandchildren? How will you spend your time with your spouse, children or grandchildren? Now that you are retired, there will be demands on you from all of your family members! How do you plan to deal with it? This can be a wonderful time where you can invest your time to explore new things together or feel pressured to babysit, travel to visit or pulled in many directions. What kind of relationships do you want to maintain with your spouse and family? 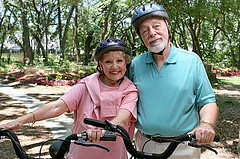 Don’t forget your friends or make new friends if you move to a retirement community. Relationships with friends and family are important for your mental and emotional health. Are you prepared for retirement? Have you given any thought to the emotional side of retirement? I know you spent weeks, months and years thinking and working to achieve the financial side of retirement! Don’t you think you need to spend some time thinking about the emotional side of retirement? This was not meant to cover every situation and every question you may have. Instead, I tried to raise some of the questions you should think through more and make plans to resolve before you retire. I learned from my first retirement, this time it will be better planned. I have six and a half years to refine my plans. Maybe you want to share your plans in your comments, or tell your friends through social networking, or tell me if you like this post. Your feedback is important to me. What are your plans for retirement? Retirement is at least 25 years away for me given how things appear to be shaping up for me. So, I’ve not spent a lot of time shaping answers to those questions or providing too much clarity in my mind, as I think that’d be getting too ahead of myself (and would probably make me impatient). I have some general goals which I think is the right level of detail for now. I think everyone focuses on the financial side of retirement, however what will do when you get there?